This week, we head to Germantown, Maryland, to discuss it's role in the assassination of Abraham Lincoln, and how - in 2018 - Tortacos and John Espana have brought West Coast tacos to the East, and how the restaurant was born out of a love of Mexican food. Then, Rob & guest chef Ed Robinson cook a new taco recipe - Carne Deshebrada en Salsa Roja with Blueberry Compote! Austin, Texas - we're back! This week, we got to interview Nick Belloni of Trill Taqueria, which has been blowing up Austin with his unique recipes & amazing vegetarian menu! What's Taqueando? When does Taco Madness start? We update you on all the new taco news in LA, and tease the next round of episodes coming up! In the final installment of this trip's On The Road, Rob & Allison find a gem in Harrisonburg, Virgina called La Morena. Also, they hit up Las Palmas Mexican Grill in Rome, Georgia. Rob & Allison drove from Los Angeles to New Jersey this week, and they're bringing us a taqueria review from the Jersey Shore - Fins Tropicali Cuisine! From Pueblo to Pico Rivera, taquero Ether Aguilar talks about what makes his tacos at Tacos Ah Carbon different from the competition, and what makes his carne asada so authentic. Lima, Peru. That's where the flavors of Little Llama Peruvian Tacos comes from. This week, we're at Smorgasburg LA to find out what makes Little Llama's tacos so irresistible, and the history behind the thriving stand. Host Rob Gokee was sick this week, so we've got an update on what's coming up the next 4-5 weeks on Tacocity, and Rob's 3 favorite episodes to go back and check out! In the Season 2 premiere of Tacocity, we head to London, England to talk with Nud Dudhia of Breddos Tacos about his rise from a cart on the corner to 2 blockbuster locations, and arguably the best tacos on the continent! 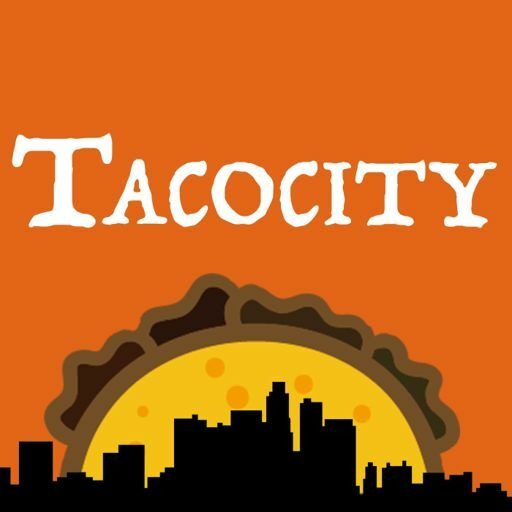 It’s round 2 of Tacocity On The Road! Rob & Allison hit up 3 taquerias - Mona’s Cocina in Texas, Casa Marina in Jackson, Tennessee and Mano Taqueria in Lexington, Virginia! Rob & Allison are on a roadtrip from LA to New Jersey, and hit up taquerias in Arizona & New Mexico. Enjoy these quick picks as Rob reviews tacos from the road! Another bonus episode - this time around, Rob answers listener questions, makes Ceviche Tostadas with Chef Ed Robinson, and announces the premiere date for Season 2! It's a bonus episode/update! We'll tell you what to expect for Season 2, and we drop a brand new cooking lesson - which will be called Taquitos - where Rob & Allison Vanore cook the tacos their moms made! In the Season 1 finale of Tacocity, we take the podcast global -all the way down under to Australia, where we talk to Diana & Gerardo of La Tortilleria, who make their tortillas from the ground up - literally! We learn about the history of Milwaukee, Wisconsin, and meet George Mireles of Cafe Corazon, who talks to us about tacos, seafood, and cow tongue! Rob sits down with Catarino, who's on a mission to review 500 taquerias. This week, we talk about the connection between French & Mexican cooking, and we meet Chef Basile of Taco Window to talk tacos, pastries, why he chose the South LA neighborhood for his gourmet take on the taco! This week, we discover the origin of Cerritos, California, and we meet Rosendo Jacquez of BALAM Kitchen, and how his gourmet tacos quickly dominated the town of Lynwood! This week, we sit down with EaterLA Senior Editor Farley Elliott, who talks to Rob about street food and tacos, and how the landscape of Los Angeles food has changed over the last decade. This week Rob sits down with his sous chef, Allison Vanore to talk about the history of tacos, taco crawls in Tijuana, and what place in Long Beach started Rob's taco obsession! This week, we're in the town of Ameca, Mexico, where we learn about the torta ahogada, tacos de canasta, and how the restaurant Tortas Ahogadas Ameca came to be. Then, a recipe for Tacos de Canasta! This week, we visit Manny Anaya, who talks about door-to-door taco samples & his West Adams restaurant Taqueria Los Anaya. Then, in the cooking section, we make Carnitas Tacos! We learn all about the death of dinosaurs, the Yucatan, and Yuca's Tacos! Trust me, all those things thread together. Then, learn how to make Cochinita Pibil Tacos! Rob spent the week on podcaster panels at the Austin Film Fest, so this week we've got a special interview episode - Chef Chris Hill & Rob talk about the Mexican influence in the food industry across America. Ever wonder where the Caesar Salad came from, and what it has to do with tacos? We travel down to Tijuana to find out, & discover the story behind Chicas Tacos! Then we make vegan calabacitas tacos! In this episode, Rob takes you south of San Diego into Ensenada, Mexico, to learn about the history of the fish taco, and how Ricky Pina carved out a business bringing his own fish taco recipe to life in Los Angeles. 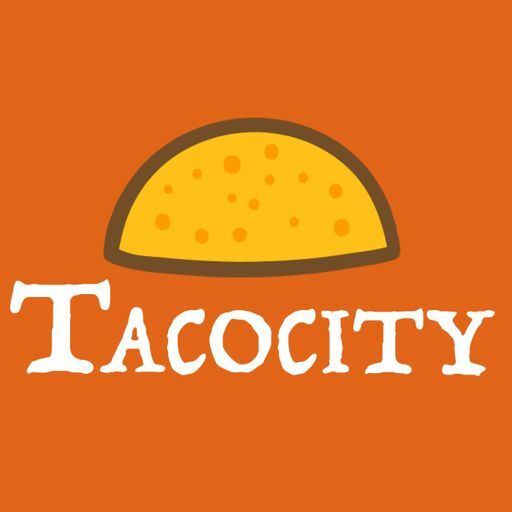 Teaser episode for the new podcast Tacocity. 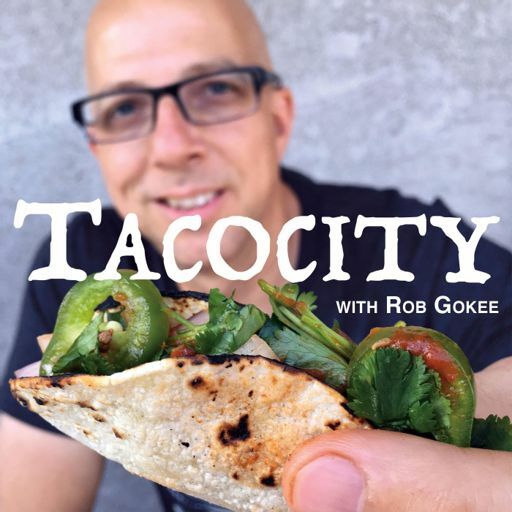 Meet host Rob Gokee and learn about what's going to be covered weekly in this taco-centric show!